This article is about the Russian cultural and political movement. For other uses, see Nihilism (disambiguation). The nihilist movement was a Russian movement in the 1860s that rejected all authorities. The word nihilism (Russian: нигилизм, nigilizm) derives from the Latin nihil, meaning "nothing". After the assassination of Tsar Alexander II in 1881, the nihilists were known throughout Europe as proponents of the use of violence in order to bring about political change. Russian nihilism can be divided into two periods. The foundational period (1860–1869) where the counter-cultural aspects of nihilism scandalized Russia and even the smallest of indiscretions resulted in nihilists being sent to Siberia or imprisoned for lengthy periods of time and where the philosophy of nihilism was formed. There followed the revolutionary period of nihilism (1870–1881) when Sergei Nechayev's pamphlet Catechism of a Revolutionist transformed the movement which was waiting and only striking mild propaganda into a movement-with-teeth and a will to wage war against the tsarist regime, with dozens of actions against the Russian state. The revolutionary period ends with the assassination of Alexander II of Russia (13 March 1881) and the consequential crushing of the nihilist movement. Mikhail Bakunin's Reaction in Germany (1842) included a famous dictum: "Let us therefore trust the eternal Spirit which destroys and annihilates only because it is the unfathomable and eternal source of all life. The passion for destruction is a creative passion, too!". This piece of literature anticipated and instigated the ideas of the nihilists. In Russia, Bakunin was considered a Westernizer because of his influences that spread the ideology of anarchism outside of his nation to the rest of Europe and Russia. While he is inexorably linked to both the foundational and revolutionary periods of nihilism, Bakunin was a product of the earlier generation whose vision was ultimately not the same as the nihilist view. Bakunin stated this best as "I am a free man only so far as I recognize the humanity and liberty of all men around me. In respecting their humanity, I respect my own". This general humanitarian instinct is in contrast to the nihilist proclamations of having a "hate with a great and holy hatred" or calling for the "annihilation of aesthetics". 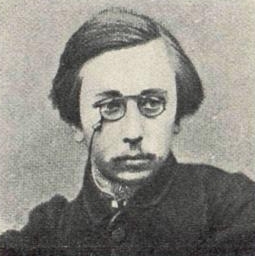 Nikolay Chernyshevsky was the first to incorporate nihilism in the socialist agenda. The nihilist contribution to socialism in general was the concept that the peasant was an agent of social change, see Chernyshevsky's A Criticism of Philosophical Prejudices Against the Obshchina (1858), not just the bourgeois reformers of the Revolutions of 1848, or the proletariat of Karl Marx (a concept that would not reach Russia until later). Agitation for this position landed Chernyshevsky in prison and exile in Siberia for the next 25 years in 1864, although the specific accusations with which he was convicted were a concoction. The first group inspired by nihilist ideas to form and work towards social change did so as a secret society and were called Land and Liberty. This group's name was also taken by another entirely separate group during the revolutionary nihilist period, with the first Land and Freedom conspiring to support the Polish independence movement and to agitate the peasants who were burdened with debt as a result of the crippling redemption payments required by the emancipation of the serfs in 1861. Polish independence was not of particular interest to the nihilists and after a plot to incite Kazan peasants to revolt failed Land and Liberty folded in 1863. After the failure, the Russian government began to actively hunt nihilist revolutionaries, so the first secret nihilist societies were created. One of the first to act in secrecy was called The Organization and they created a boys' school in a Moscow slum in order to train revolutionaries. In addition, they had a secret sub-group called Hell whose purpose was political terrorism, with the assassination of the Tsar as their ultimate goal. This resulted in the failed attempt by Dmitry Karakozov on 4 April 1866. Karakozov was tried and hanged at Smolensk Field in St Petersburg. Nicholas Ishutin, leader of The Organization, was also tried and was to be executed before being exiled to Siberia for life, thus ending The Organization. The White Terror began by the Tsar putting Count Mikhail Muravyov (otherwise known as Hanger Muravyov due to his treatment of Polish rebels in prior years) in charge of the suppression of the nihilists. The two leading radical journals (The Contemporary and Russian Word) were banned, liberal reforms were minimized in fear of reaction from the public and the educational system was reformed to stifle the existing revolutionary spirit. This action by the Russian state marked the end of the foundational period of nihilism. The entrance on the scene of Sergey Nechayev symbolizes the transformation from the foundational period to the revolutionary period. Nechayev, the son of a serf, which was unusual as most nihilists came from a slightly higher social class, what we would call lower middle class, desired an escalation of the discourse on social transformation. Nechayev argued that just as the European monarchies used the ideas of Niccolò Machiavelli and the Catholic Jesuits practiced absolute immorality to achieve their ends, there was no action that could not be also used for the sake of the people's revolution. A scholar noted: "His apparent immorality [more an amorality] derived from the cold realization that both Church and State are ruthlessly immoral in their pursuit of total control. The struggle against such powers must therefore be carried out by any means necessary". 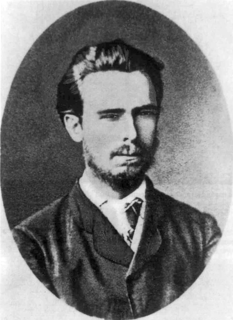 Nechayev's social cache was greatly increased by his association with Bakunin in 1869 and extraction of funds from the Bakhmetiev Fund for Russian revolutionary propaganda. The image of Nechayev is as much a result of his Catechism of a Revolutionist (1869) as any actions he actually took. The Catechism of a Revolutionist is an important document as it establishes the clear break between the formation of nihilism as a political philosophy and what it becomes as a practice of revolutionary action. It documents the revolutionary as a much transformed figure from the nihilist of the past decade. Whereas the nihilist may have practiced asceticism, they argued for an uninhibited hedonism. Nechayev assessed that by definition the revolutionary must live devoted to one aim and not allow themselves to be distracted by emotions or attachments. Friendship was contingent on revolutionary fervor, relationships with strangers were quantified in terms of what resources they offered revolution and everyone had a role during the revolutionary moment that boiled down to how soon they would be lined up against the wall or when they would accept that they had to do the shooting. The uncompromising tone and content of the Catechism of a Revolutionist was influential far beyond the mere character Nechayev personified in the minds of the revolutionaries. Part of the reason for this is the way in which it extended nihilist principles into a revolutionary program. The rest of the reason was that the Catechism of a Revolutionist gave the revolutionary project a form of constitution and weight that the "men of the sixties" did not. Bakunin, an admirer of Nechayev's zeal and stories of his organization's success, provided contacts and resources to send Nechayev back to Russia as his representative of the Russian section of the World Revolutionary Alliance, which was also an imaginary organization. Upon his return to Russia, Nechayev formed the secret cell based organization People's Vengeance. One student member of the organization Ivan Ivanovich Ivanov questioned the very existence of the Secret Revolutionary Committee that Nechayev claimed to be the representative of. This suspicion of Nechayev's modus operandi required action. Author Ronald Hingley wrote: "On the evening of 21 November 1869 the victim [Ivanov] was accordingly lured to the premises of the Moscow School of Agriculture, a hotbed of revolutionary sentiment, where Nechayev killed him by shooting and strangulation, assisted without great enthusiasm by three dupes. [...] Nechayev's accomplices were arrested and tried". Upon his return from Russia to Switzerland, Nechayev was rejected by Bakunin for his taking of militant actions and was eventually extradited back to Russia where he spent the remainder of his life at the Peter and Paul Fortress. Due to his charisma and force of will, Nechayev continued to influence events, maintaining a relationship to Narodnaya Volya and weaving even his jailers into his plots. He was found dead in his cell in 1882. ^ Online Etymology Dictionary s.v. "nihilism"
^ Buckley, J.M. (2008). "Nihilism." In The midnight sun, the tsar and the nihilist adventures and observations in Norway, Sweden and Russia. Whitefish, MT: Kessinger. pp. 335–351. ASIN B008I9E4MA. ^ Hingley, Ronald (1969). Nihilists; Russian radicals and revolutionaries in the reign of Alexander II, 1855-81. New York, NY: Delacorte Press. pp. 87–126. ^ Bakunin, Mikhail (1842). Reaction in Germany. ^ McLaughlin, Paul (2002). Mikhail Bakunin: The Philosophical Basis of His Theory of Anarchism. New York, NY. pp. 55–86. ISBN 1-892941-41-4. ^ Bakunin, Mikhail (1876). God and the State. New York, NY: Cosimo Classics. pp. 13–19. ISBN 1-60520-361-0. ^ Buel, James (1883). "Chapter IV." In Russian Nihilism and Exile Life in Siberia: A Graphic and Chronological History of Russia's Bloody Nemesis, and a Description of Exile Life in All Its True but Horrifying Phases, being the Results of a Tour through Russia and Siberia Made by the Author. New York, NY: Ulan Press. pp. 77–94. ^ Edie, James M. (1994). Russian Philosophy. II: the Nihilists, The Populists, Critics of Religion and Culture. TN: University of Tennessee Press. pp. 36–113. ^ Marshall, Peter H. (2010). "Anarchism in Practice: Russia and the Ukraine." In Demanding the impossible a history of anarchism: be realistic! Demand the impossible!. Oakland, CA: PM Press. pp. 469–479. ISBN 1-60486-064-2. ^ Nechayev, Sergey (1869). The Revolutionary Catechism. ^ Fleming, John (2010). The Anti-Communist Manifestos: Four Books That Shaped the Cold War. Washington: Norton and Company. pp. 321–335. ISBN 978-0-393-07476-5. ^ Nechayev, Sergei (1869). The Revolutionary Catechism. ^ Sijak, Ana (2009). Angel of Vengeance: The Girl Who Shot the Governor of St. Petersburg and Sparked the Age of Assassination. United Kingdom: St. Martin's Press. pp. 21–38. ASIN B005E8AJVI. ^ Bakunin, Mikhail (1870). Bakunin on Violence: Letter to S. Nechayev. New York, NY: New York: Anarchist Papers. pp. 2–25. Nihilism, Anarchy, and the 21st Century. George Kennan and the Russian Empire: How America's Conscience Became an Enemy of Tsarism by Helen Hundley. Wasiolek, Edward. Fathers and Sons: Russia at the Cross-roads. New York: Twayne Publishers, 1993. ISBN 0-8057-9445-X. Giuseppe Fanelli was a nineteenth-century Italian revolutionary anarchist, best known for his tour of Spain 1868, introducing the anarchist ideas of Mikhail Bakunin. Catherine Breshkovsky (real name Yekaterina Konstantinovna Breshko-Breshkovskaya, Russian: Екатерина Константиновна Брешко-Брешковская; born 25 January 1844, Ivanovo village, Nevelsky district, Vitebsk province – 12 September 1934 Hvaly-Pochernice, near Prague, Czechoslovakia. A major figure in the Russian socialist movement, a Narodnik and later one of the founders of the Socialist Revolutionary Party. She spent over four decades in prison and Siberian exile for peaceful opposition to Tsarism, acquiring, in her latter years, international stature as a political prisoner. Also popularly known as Babushka, the grandmother of the Russian Revolution. The Circle of Tchaikovsky, also known as Tchaikovtsy, Chaikovtsy, or the Grand Propaganda Society was a Russian literary society for self-education and a revolutionary organization of the Narodniks in the early 1870s. Lev Grigorievich Deutsch, also known as Leo Deutsch was a Russian Bolshevik Revolutionary and one of four founding members of Russia's Marxist Organisation, the precursor of the Russian Social Democratic Labour Party. Golos Truda was a Russian-language anarchist newspaper. Founded by working-class Russian expatriates in New York City in 1911, Golos Truda shifted to Petrograd during the Russian Revolution in 1917, when its editors took advantage of the general amnesty and right of return for political dissidents. There, the paper integrated itself into the anarchist labour movement, pronounced the necessity of a social revolution of and by the workers, and situated itself in opposition to the myriad of other left-wing movements. Varfolomey Alexandrovich Zaytsev was a Russian journalist, essayist, publicist, translator and literary critic, one of the leaders of the nihilist flank of the Russian literary left of the time.